The Goal: To finally read 12 books from your "to be read" pile (within 12 months). Note to self: Monthly check-in on the 15th. When finished, leave comment on original post. 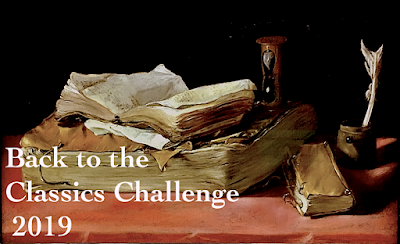 The Goal: To read 12 classics that fit within 12 specific categories. Note to self: Link up each review as I finish it. When finished, write a wrap-up post. The Goal: Read book titles that start with all the letters of the alphabet, one book for each letter. Note to self: Link up each review as finished. 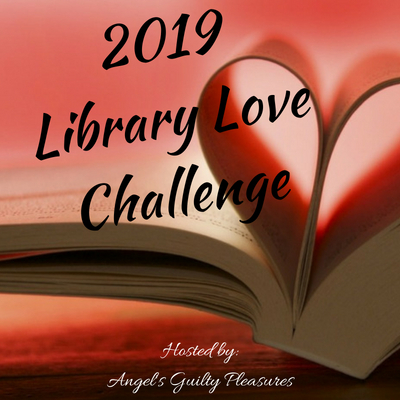 Monthly mini challenges, quarterly read-a-thons. Note to self: Monthly link-up on the 1st. 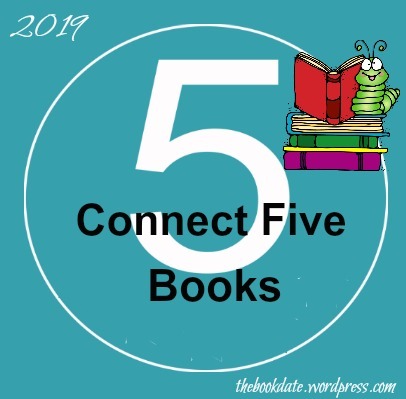 The Goal: Group together 5 reads that share something specific in common, as often as possible. Note to self: Monthly checkpoints. Books must be owned by prior to 2019. 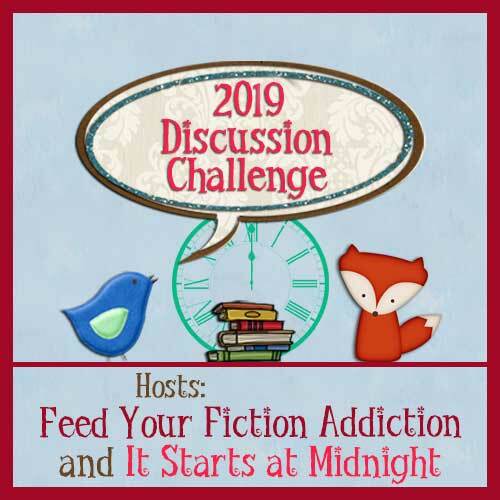 The Goal: Read older books that have been piling up in my TBR pile/list [I'll try for 100+ books!]. 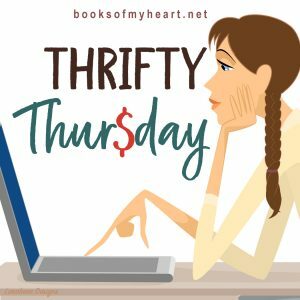 Note to self: Books must be published before 2018 & already be in my TBR pile/list. 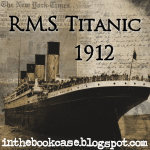 Link up on review linky as I finish each book. 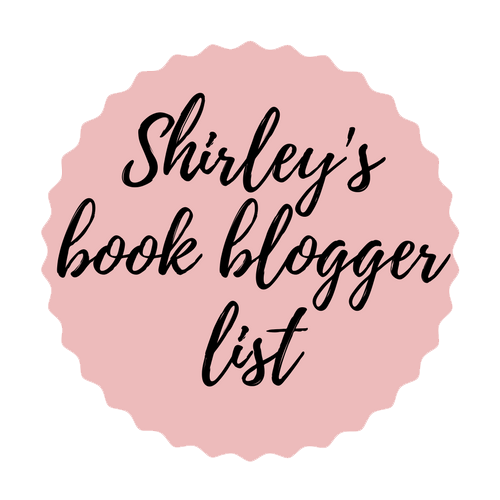 Note to self: Link up on review linky as I finish each book. Mid-Year Library Check-in, during June/July. Note to self: Mystery/Suspense/Thriller/Crime genres, 100+ pages. Quarterly link-ups (Jan-March, April-June, July-Sept and Oct-Dec). Giveaway at halfway mark and at end. 1. 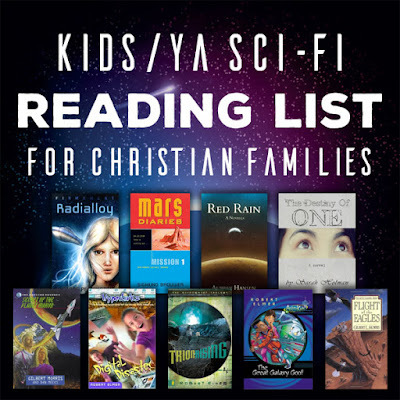 Read at least 125 books, from all formats. 2. Review, review, review! -- Make sure to review every book I read this year. 3. In with the old! 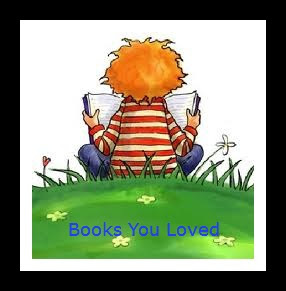 -- Read at least 25 books that are published before the year 2000. 4. Listen while I "work"! -- Listen to at least 35 audio books. 5. Increase my NetGalley feedback ratio -- Finish at least 10 NetGalley books. 6. Read more titles from indie authors this year -- at least 12. 8. Complete at least 8 year-long reading challenges (to doubly make sure I finish them off!). 9. Finish what I start! -- Finish off at least 4 different book series. 10. 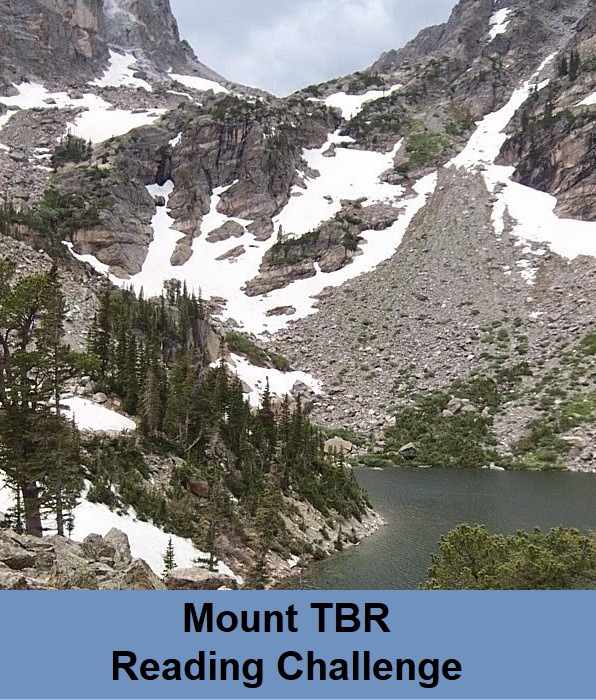 All formats of books combined, conquer reading 25,000 pages (according to Goodreads stats). Note to self: Checkpoints on May 1st, September 1st, and in December. Note to self: Monthly link-ups on the 1st. Wow! 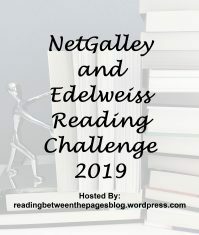 I’m impressed with your reading challenges. Good luck. So many great challenges here! All the best with them and happy reading in 2019! Looks like some great challenges! 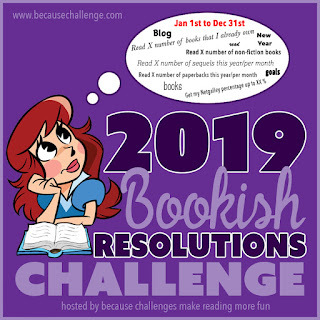 I'm planning to participate in both TBR challenges and the Classics one. Good luck in your challenges for the year, Barbara! Good Luck with the list. The Pat series are my favorite series by Lucy Maud Montgomery. I'm glad to hear that you so thoroughly like the Pat books best... so many people basically just say Anne, Anne, Anne. :| Anyways, I'm looking forward to seeing how Pat's story continues! Wow, you're participating in a lot of challenges! 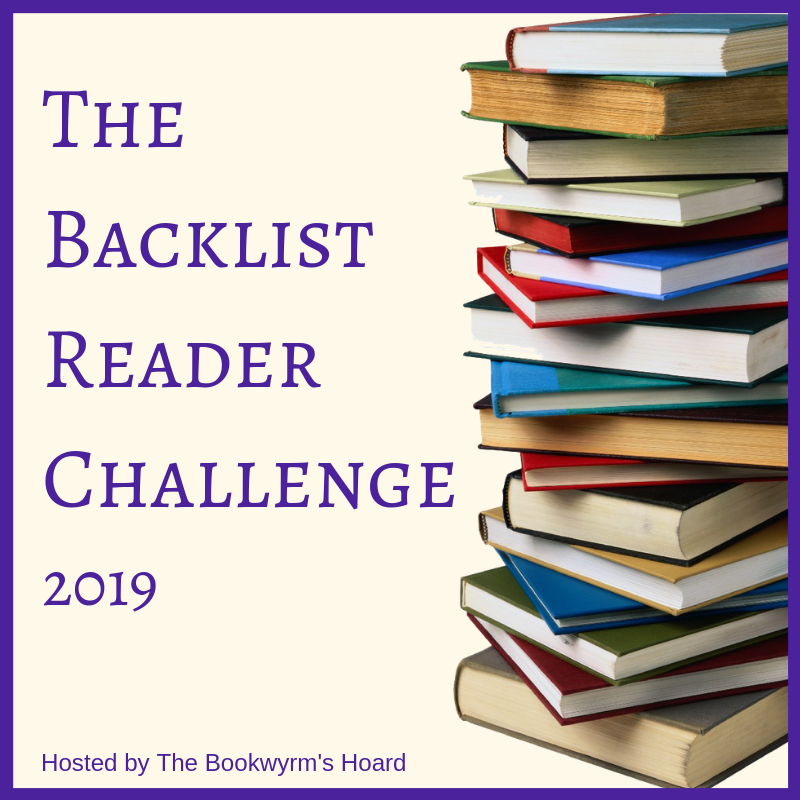 Welcome to The Backlist Reader Challenge 2019! I hope you make your 100+ goal, and look forward to seeing what you're reading. Looks like we're doing several of the same challenges. Good luck! And I like your idea of using Note To Self for reminders. Great idea! You have some great challenges here. I really hope you love 'The Secret Garden' as it is one of my favorite books. I just finished '20,000 Leagues Under the Sea' so now I will have to get 'Mysterious Island' to learn more about Captain Nemo. I hope you have a lot of success with your challenges. I will find something to contribute for this year's Alcott challenge. Joel, YES! I'm in the middle of 'The Secret Garden' now... it's absolutely delightful. I'm eager to see what happens with Captain Nemo in 'Mysterious Island'. I have heard it's quite a bit like 'Swiss Family Robinson' -- which I greatly enjoyed.